Figures from the Toronto Real Estate Board show a 9.9% drop in sales of condos year-over-year with its members reporting 5,191 sales through the MLS. 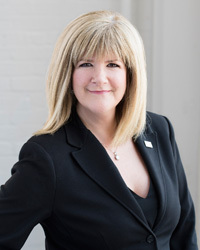 There was a tightening of the market with listings down 11.2% year-over-year to 7,272 and the average price increased 8.3% to $558,728; with the City of Toronto (72% of transactions) posting a rise of 8.9% to $598,664. "The condominium apartment segment was the best-performing segment in terms of annual average rates of price growth in 2018. Condos represent a relatively affordable housing option. With a substantial decrease in listings in 2018, competition between intending buyers remained strong. This supported average price growth well-above the rate of inflation and annual rates of price growth reported for other ground-oriented home types," said Garry Bhaura, TREB president. Despite the challenges, the GTA condo market remained an important entry point to the region’s housing market. “Higher mortgage qualification standards meant that many first-time buyers were looking for more affordable housing options. Moving forward, the concern is that a continued lack of listings supply, despite relatively strong new condo completions as of late, will hamper the ability of potential home buyers to meet their housing needs," said Jason Mercer, TREB's Director of Market Analysis. Meanwhile, TREB’s figures show that rents in the GTA surged for both one and two bedroom apartments in Q4 2018. 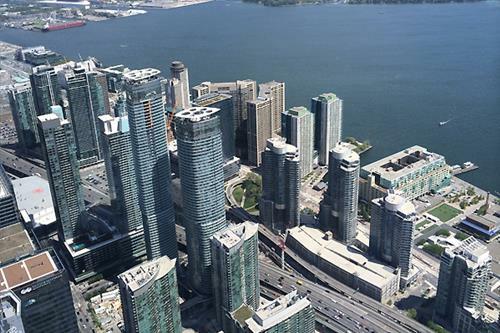 The average rent for one-bedroom condominium apartments in the TREB market area was up by 8.8 per cent annually to $2,143 in Q4 2018. The average two-bedroom condominium apartment rent was up by 5.5% over the same period to $2,774. "It will be important to continue monitoring the supply of rental condominium apartments. While TREB certainly supports the recent rent control exemptions announced by the provincial government, this change does not benefit all investor-owners of condominium apartments, who have provided much of the new rental stock over the past decade. It is conceivable that rent controls could prompt some investors to consider selling their units and investing the proceeds in another asset class. This scenario could obviously compound an already problematic rental supply issue in the GTA," added Mercer.